[ SOLDIER LIFE—MANY MUST FALL: TWO CIVIL WAR NARRATIVES. TRUE HISTORIES OF THE 14TH IOWA INFANTRY IN CAMP AND COMBAT, TOLD BY THE WOLF CREEK RANGERS OF TAMA COUNTY. Iowa City: Camp Pope Bookshop, 2008]. Hardcover, illustrated, maps, notes, index. 288pp. that contributes to its ever growing line of published Civil War diaries, letters, and reminiscences from the Trans-Mississippi soldiers. Regular Camp Pope customers know of proprietor Clark Kenyon's special interest in Iowa units, and this is the second Hawkeye book to be published this year [the first being Vanishing Footprints -- 22nd Iowa]. Norris: "Potter's Raid: The Union Cavalry's Boldest Expedition in Eastern North Carolina"
Modern armchair strategists often decry the Union high command's lack of a vigorous exploitation of the 1862 Burnside Expedition's success in securing much of North Carolina's vital coastline. With the exception of John G. Foster's late 1862 Goldsboro campaign, Federal forces were largely content (until late in the war) with securing its many coastal enclaves and occasionally raiding inland to secure supplies or attack the important Wilmington & Weldon Railroad. 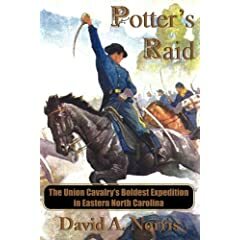 An action fitting the latter category is the subject of David Norris's book Potter's Raid: The Union Cavalry's Boldest Expedition in Eastern North Carolina. From July 18-23, 1863, 800 Union cavalrymen under the overall command of Brig. Gen. Edward Potter conducted an expedition into the North Carolina interior, striking the railroad at Rocky Mount Station and Tarboro. While damage to the rails was minimal, much in the way of public buildings and property were destroyed. Both homes and businesses were also looted along the raid route, but the author found evidence of only one private dwelling being set afire. Norris's gathering of a broad range of source materials for his study is noteworthy, and he does a fine job of weaving civilian and military accounts into his narrative. Crafting a detailed cavalry raid narrative that doesn't confuse readers unfamiliar with the geographic area traversed can be a difficult task, and Mr. Norris largely succeeds in this regard. He also successfully places Potter's Raid within the context of larger Union military objectives, without exaggerating its importance. Beyond the typos and somewhat unpolished formatting*, there is precious little to complain about. In addition to Potter's Raid, military events before and after are also covered in the book. The July 3-7 Kenansville-Warsaw Raid is detailed in the main text, as well as the follow-up action at Boon's Mill (July 28). Supplementing these treatments, an appendix recounts other army and navy raids in the region, such as those directed toward the town of Greenville and various locations within Pitt County. Photographs and other illustrations are sprinkled liberally throughout the text. The five original maps [(1) modern map with marker locations, (2) Potter's Raid route, (3) area of Kenansville-Warsaw Raid, and depictions of (4) New Bern and (5) Rocky Mount locales] are adequate. Other appendices include an order of battle for each side, as well as a detailed register of each known casualty (civilian and military). David Norris's Potter's Raid is a fine piece of local North Carolina Civil War history. The raid's results may not have been significant or far reaching, but readers that appreciate highly original efforts at producing deeply researched and highly detailed accounts of obscure military events will enjoy and value this title. * - the usual problems with galley text are here, and I can only assume they were fixed for the retail version. As mentioned before, I don't normally review uncorrected proofs, but I made an exception here as I neglected to specifically provide a link to my review policy in my correspondence with the publisher. Maybe it's perception more than reality, but this year's book output* seemed a bit sparse in many areas. Therefore, some categories have been added to last year's list, and some dropped due to lack of standout choices among those that I had an opportunity to read. On the other hand, it was a bit of a banner year for reference books. * - I consider titles from roughly the period between November 2007 and November 2008. The overlap allows for the time between a book's publication date and when I can reasonably get to it. Vital Rails: The Charleston & Savannah Railroad and the Civil War in Coastal South Carolina (H. David Stone, Jr., Univ. of South Carolina Press). Stone's volume is equally adept at illustrating the financial and organizational weaknesses of the Confederate railroad system in general as he is highlighting specific pre-war, wartime, and post-war issues pertaining to the Charleston & Savannah Railroad. On top of that, the author combines this study with an excellent operational and tactical history of the railroad's military role in the mobile defense network aimed at protecting important points along the Georgia and Carolina coastlines. Lincoln and the Decision for War: The Northern Response to Secession (Russell McClintock, Univ. of N. Carolina Press). One of the best examinations of the secession crisis from the viewpoints of northern political leaders. Caution and Cooperation: The American Civil War in British-American Relations (Phillip E. Myers, Kent State Univ. Press). Three Days in the Shenandoah: Stonewall Jackson at Front Royal and Winchester (Gary Ecelbarger, Univ. of Oklahoma Press). 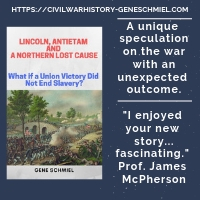 Like his earlier Kernstown study, this book is another shining example of the best of Civil War battle history research, writing, and analysis. The Timberclads in the Civil War: The Lexington, Conestoga, and Tyler on the Western Waters (Myron J. Smith, Jr., McFarland). The Maryland Campaign of September 1862: Ezra A. Carman's Definitive Study of the Union and Confederate Armies at Antietam (Carman - ed. by Joseph Pierro, Routledge). The presentation is spartan, but, in terms of matching skillful editing with the importance of the manuscript itself, this volume is tough to beat. Guide to Missouri Confederate Units, 1861-1865 (James E. McGhee, Univ. of Arkansas Press) and Confederate Colonels: A Biographical Register (Bruce S. Allardice, Univ. of Missouri Press). In general terms, useful unit histories of Missouri Confederate regiments and batteries are non-existent, making McGhee's thorough and well-researched study particularly valuable. Allardice's book is an essential addition to all research libraries. Encyclopedia of Civil War Shipwrecks (W. Craig Gaines, LSU Press). Skim Milk Yankees Fighting: The Battle of Athens, Missouri, August 5, 1861 (Jonathan K. Cooper-Wiele, The Press of the Camp Pope Bookshop). Cooper-Wiele spent many years gathering all available materials pertaining to this obscure Missouri battle. His is the first truly noteworthy chronicling and analysis of Athens, as well as the events surrounding it. A very fine effort. * A Slight Demonstration: Decatur, October 1864, Clumsy Beginning of Gen. John B. Hood's Tennessee Campaign (Noel Carpenter, Legacy Books & Letters). The Stone's River Campaign: 26 December 1862 - 5 January 1863 (Lanny Kelton Smith, Author). Research and writing of an astounding scale that simply must be seen to be believed. Sterling Price's Lieutenants: A Guide to the Officers and Organization of the Missouri State Guard 1861-1865 (James E. McGhee, Richard C. Peterson, Kip A. Lindberg, and Keith I. Daleen; Two Trails Publishing). Out of print for some time, this book came back with a roar with an impressive revised and expanded edition. A vital resource for those researching the Civil War in Missouri (especially the 1861-1862 period). Sull Ross' Sixth Texas Cavalry: Six-Shooters & Bowie Knives by Stephen S. Kirk (Two Trails Publishing, 2008). I don't have any weblink for this book, but a review will be available in coming weeks. In the meantime, if you have questions you may contact the author at the link above. Faces of the Confederacy: An Album of Southern Soldiers and Their Stories by Ronald S. Coddington (Johns Hopkins Univ. Press, 2009). Back in 2004, JHUP published Coddington's companion volume, Faces of the Civil War: An Album of Union Soldiers and Their Stories . Lee in the Lowcountry: Defending Charleston & Savannah 1861-1862 by Daniel J. Crooks, Jr. (The History Press, 2008). 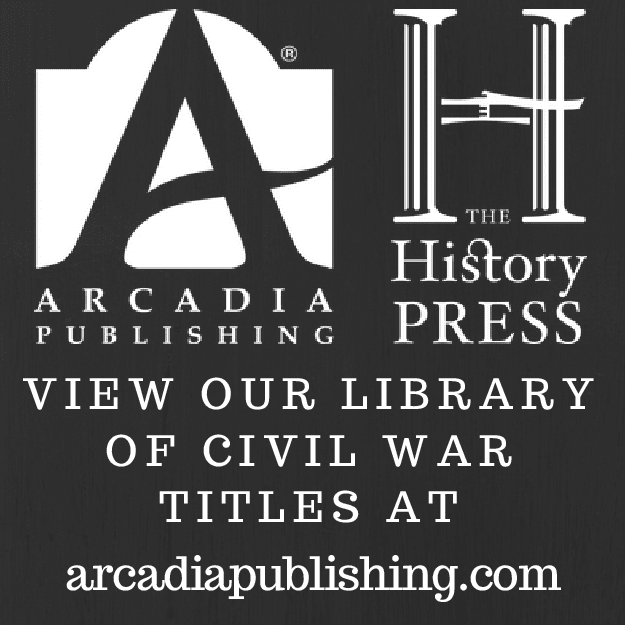 Hoffman: "'My Brave Mechanics': The First Michigan Engineers and Their Civil War"
Engineering and logistics subjects remain small segments of Civil War publishing, a meagerness certainly not commensurate with their wartime importance. The opposing war departments themselves were initially unable to conceive of the critical role of specialized engineering units in the upcoming conflict, with the U.S. army electing to hold off on expanding the ranks of its regular army engineer formations. This left new volunteer units to pick up the slack. 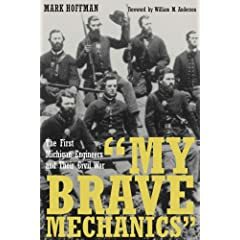 The First Michigan Engineers and Mechanics was just such a unit, and Mark Hoffman's recent book My Brave Mechanics is an exemplary regimental history. Mr. Hoffman's service history of the regiment strikes the right note in terms of scope and level of detail. The First saw initial service in Kentucky, guarding supply lines and having a reserve role during the Battle of Mill Springs. As part of Don Carlos Buell's command, they moved into Tennessee and Mississippi (Corinth Campaign), before falling back into the Bluegrass State to oppose Braxton Bragg's invasion. Often operating in company and battalion sized detachments, the unit also lent its engineering expertise to the 1862-1863 Tennessee campaigns, as well as the Atlanta Campaign and the March to the Sea. The final acts of the war saw the engineers in the Carolinas and back in familiar Tennessee. Providing societal insights as well, the best modern regimental histories also explore unit demographics, and Hoffman's is no exception. The data compiled by the author is sprinkled throughout the text, as well as organized into several tables located in an appendix*. The author does a very thorough job of explaining the many supporting roles performed by engineering formations within the Union army. These include the construction (as well as destruction) of bridges, railroads, telegraph lines, roads, blockhouses, and field fortifications. I only wish more line drawings were provided to go along with the technical descriptions. While often detailed to the rear areas, combat was not an uncommon experience for the First, as supply and lines of communication were frequently targeted by Confederate raiders and regular forces. My Brave Mechanics has all the elements of a first-rate regimental history. The research is exemplary, the bibliography displaying a vast array of unpublished source materials, as well as a great volume and variety of published works consulted. The book's six maps, as large-scale representations of the areas traversed by the engineers during their war service, are adequate. The work's construction and materials quality are top notch. Well presented, deeply researched, and appropriately detailed, My Brave Mechanics is an original and important addition to the literature, a wonderful history of the military contribution of the volunteer engineers to the ultimate victory of the Union army in the western theater. * - A complete roster is not included, but Hoffman has discovered some individuals missing from the list that is provided in vol. 43 of Record of Service of Michigan Volunteers in the Civil War. Booknotes - "Kentuckians in Gray: Confederate Generals and Field Officers of the Bluegrass State"
Kentuckians in Gray: Confederate Generals and Field Officers of the Bluegrass State edited by Bruce S. Allardice and Lawrence Lee Hewitt (University of Kentucky Press, 2008) is yet another fine reference guide published this year. Each general officer profile includes a photograph, a roughly seven page biographical sketch, and a short bibliography. The number of contributors is large and noteworthy in scholarly stature. Field officers are compiled in alphabetical order at the book's rear, with a small paragraph devoted to each (similar in format to Allardice's earlier work Confederate Colonels). Broadly speaking, the Hispanic contribution to the Civil War has been understudied, but historian Jerry Thompson has devoted a large segment of his research and writing career to the subject. At only 41 pages of main text, Mexican Texans in the Union Army [No. 78 in Texas Western Press's Southwestern Studies monograph series] is only a brief survey. The operations of irregular leaders such as Octavio Zapata and Cecelio Valerio are discussed, among others. Texas attorney Edmund J. Davis and prominent Unionist John L. Haynes attempted to form regular units [1st and later 2nd Texas Cavalry] from men recruited on both sides of the border. A brief operational history of these units is also included. Mexican-American motivations to fight were complex. According to Thompson, they had more to do with anti-Texas [i.e. the state government and large landowners] feeling than any kind of loyalty to the U.S. or the Union cause in general. Inefficiency (to include communication difficulties) and a massive desertion rate, were probably factors in their ultimate obscurity, but external problems were equally significant. Due to questions about the units's legality, pay and equipment for these men were not forthcoming. More detailed demographic information can be found in the appendices. Thompson also compiled a list of all known Mexican and Mexican-American individuals that served in the Union army. Each entry includes name, rank, unit, birth date, occupation, and date of death, if known or applicable. Packed with information, this slim volume is an excellent introductory-level study and valuable reference book [although I understand that the soldier list has been updated in the most recent edition of Thompson's Vaqueros in Blue and Gray ]. I mentioned Robert S. Seigler's South Carolina's Military Organizations During the War Between the States series in an earlier post. All four books are now available, and I've just received Vol. IV South Carolina Military Organizations During the War Between the States: Statewide Units, Militia & Reserves (The History Press, 2008). I am very impressed with this guide's research and the depth of the unit histories. The content is annotated, and a bibliography and index are provided as well. After the introduction, unit information is dealt with in narrative subsections, to include discussions of field officers, companies, brigade affiliations, and a really nice summary of major movements and battles engaged. This series appears to be a must-have for your reference library. ed. 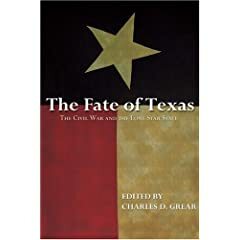 Grear: "The Fate of Texas: The Civil War and the Lone Star State"
From past to present, The Fate of Texas examines a number of broad social issues associated with the Civil War experience of the citizenry of the Lone Star State. Like many recent essay collections published by major university presses, this volume carries a heavy race/ethnicity, gender, and public history focus. No battle or campaign articles were included*, but the first chapter by Joseph Dawson seeks to explain Texas's role in the Confederacy's strategic military planning. It includes a summarization of the state's importance as a key jump off point for the new nation's planned expansion into the southwest. Coastal and border defense are also discussed. Readers familiar with the scholarship of Richard Lowe and Richard McCaslin** will be familiar with the material presented in their chapters. Through a thorough examination of soldier letters, Lowe discovers that Texas fathers at war, far from the stern taskmasters of Victorian era stereotype, openly expressed great affection for their wives and children, respectful of the former and intimately involved in the raising of the latter. McCaslin reopens his investigation into the tragedy of large scale pro-Confederate vigilantism in North Texas, focusing on the infamous Gainesville hangings. Concentrating her own study on Colorado County, Angela Boswell, through the use of legal documents and private correspondence, relates to the reader the new public and private roles assumed by Texas women during wartime. Issues covered include farm and business management, divorce, estate execution, and lawsuits, all lying within the male domain in the pre-war period. Walter Kamphoefner weighs the evidence surrounding the German immigrant attitude toward slavery and secession. He convincingly refutes the contention that, over time, Germans tended to adopt the attitudes of the general population of the state. Of course, selective bias can be problematic in studies such as these, but Kamphoefner's research into slaveholding and voting patters [he supports his case with economic and voting pattern data arranged in tabular format], private correspondence, and German support for Republicans during Reconstruction, is solid. Picking through tax and census records, Dale Baum was able to, for the first time, provide fairly reliable numbers [approx. 47,800-51,000] concerning the number of slaves relocated ("refugeed") to Texas by their owners -- east and west -- to keep them away from advancing Union armies. Baum also looked at the accompanying planters, finding them to not be additionally motivated by conscription avoidance (contrary to the conjecture of others). Also, both previous owner and ex-slave tended to stay in Texas when the war ended. General editor Charles Grear explored the reason why so many Texans were motivated to fight on the other side of the Mississippi River, far away from their homes. Narrowly focusing his study on members of the Texas Brigade that fought in Virginia and the western theater's Terry's Texas Rangers, Grear came to the very reasonable conclusion that much of this was based on extended family connections to other states (surprisingly, only 25% of white males living in Texas in 1860 were born in the state). A subject for future inquiry might be to broaden the sample base and also examine how such attitudes changed over time. Other chapters explore the post-war period. Carl Moneyhon studied the experiences, attitudes, and public roles of Confederate veterans in Texas during Reconstruction and beyond; and Randolph Campbell examined the post-war lives of Harrison County veterans. The final two essays bring the reader to the present, addressing the many challenges and disparate points of view inherent to memorializing divisive figures from the past and in presenting public history. In both content and presentation, The Fate of Texas is a fine addition to University of Arkansas Press's The Civil War in the West series. * - the degree of lament associated with this will vary with the reader, but, as military operations within the state remain comparatively neglected in the literature, I thought the editor missed a good opportunity here. * - Lowe, Walker's Texas Division (LSU, 2006) and McCaslin, Tainted Breeze: The Great Hanging at Gainesville, Texas, 1862 (LSU, 1994). A recent post by Dimitri recalls the tactile experience of owning, reading and appreciating quality history books; but it also brings to mind a common misrepresentation. The publishing industry generally deems it an acceptable shorthand to list all hardcovers as "cloth", as if the two terms were interchangeable. Buyers should have a right to expect that "cloth" books be fully covered with real cloth material -- not spine-only cloth, textured faux-cloth, or (worst of all) simply heavy paper. I suppose an important question is whether we have deliberate deception here or simply antiquated supply chain terminology that hasn't yet adapted to the industry's use of ever cheapening materials. I would guess it's more of the latter. Even the finer purveyors of Civil War books, if they use cloth at all, seem to use it on a case by case basis. It is surprising that those that do do it, tend to never mention it as a selling point. Anyway, as a nod toward the more concerned bibliophiles that frequent CWBA, I try to remember to note the true state in the info line of each review. Patrakis: "Andover in the Civil War"
With her book Andover and the Civil War, local researcher and writer Joan S. Patrakis provides readers with a war and home front narrative history of the Massachusetts town (located near the Merrimack and Shawsheen rivers) and its contributions to the Union war effort. Riding the initial wave of patriotic fervor, the citizens formed the Andover Light Infantry (Co. H, 14th Massachusetts), whose early war duties were spent garrisoning forts [the 14th regiment was later re-designated the 1st Massachusetts Heavy Artillery]. Patrakis traces the men's service at places like Ft. Warren, the Washington defenses, and Maryland Heights. Outside the military sphere, the reactions and contributions of the home front are given equal attention. 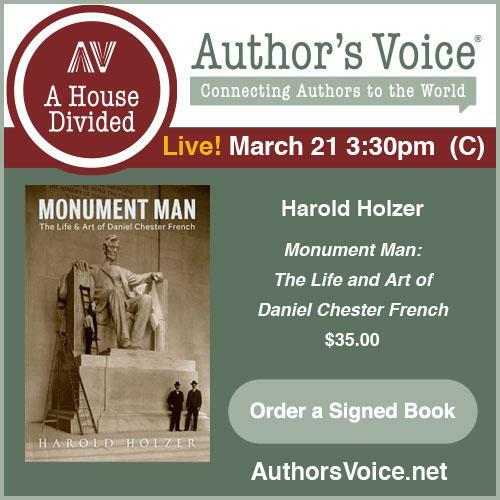 Prominent citizens, such as Harriet Beecher Stowe and Elizabeth Stuart Phelps, are featured. The community received a terrible blow when the 1st Massachusetts Heavy Artillery suffered heavy losses at Spotsylvania, the first significant battle the Andover men from Company H participated in. Cold Harbor and the Petersburg Campaign followed. The post-war period and commemorative efforts by Andover to honor the service of its soldiers are also discussed by the author. In creating her narrative, Patrakis incorporates lengthy excerpts from letters, journals, and newspaper articles -- many of which were unpublished items culled from local historical society archives. History Press publications typically excel in their presentation and visual impact, and this one, heavily supported with period photographs and other illustrations, is no exception; the only drawback is the lack of an index. The impact of this study will likely be most felt in the local market, where it will serve as a useful, broadly appealing introduction to the impact of the Civil War on the Andover community, highlighting the contributions and sacrifices of its citizens. But others interested in the wartime experiences of small New England communities should find Andover in the Civil War useful as well. A Revised List of Texas Confederate Regiments, Battalions, Field Officers, and Local Designations (Author, 2007) by James E. Williams. Virginia at War, 1863 ed. by William C. Davis and James I. Robertson, Jr. (Univ. of Kentucky Press, 2008). Abraham Lincoln: A Life by Thomas Keneally (Penguin, 2008 - paperback reprint). Andover in the Civil War: The Spirit & Sacrifice of a New England Town by Joan Silva Patrakis (The History Press, 2008). Now the Drum of War: Walt Whitman and His Brothers in the Civil War by Robert Roper (Walker & Co., 2008). Mystery of the Irish Wilderness: Land and Legend of Father John Joseph Hogan's Lost Irish Colony in the Ozark Wilderness by Leland and Crystal Payton (Lens and Pen Press, 2008). Mexican Texans in the Union Army by Jerry D. Thompson (Texas Western Press, 1986). Potter's Raid: The Union Cavalry's Boldest Expedition in Eastern North Carolina by David A. Norris (Dram Tree, 2008). Author Stephen A. Dupree's Planting the Union Flag in Texas: The Campaigns of Major General Nathaniel P. Banks in the West was recently chosen as the winner of the 2008 Pate Award. Presented by the Fort Worth Civil War Round Table, the award honors "outstanding original research on the Trans-Mississippi sector of the Civil War". Congratulations, Dr. Dupree. If you'll recall, last year's winner was Steven Mayeux for Earthen Walls, Iron Men: Fort DeRussy, Louisiana and the Defense of Red River. I'll be posting my own list of favorites from the past year soon, probably in early to mid December rather than January this time. Estaville, Jr.: "Confederate Neckties: Louisiana Railroads in the Civil War"
Part of a series of scholarly monographs, Confederate Neckties is a fascinating little military, economic, and financial study of Louisiana's 395 miles of track. In 1861, there were twelve railroad companies in the state, the longest 88 miles and the shortest 0.5. Estaville's brief, but fully documented, study is packed with information. Company financial concerns are covered as well as the regional economic impact of each line. Additionally, a physical description [materials used, stations, depots, number of locomotives and cars, etc.] is provided. The maps trace the course of each railroad, showing the important stations and depots along the way. Also, if relevant, the operational and tactical military use of each railroad is explained. On a side note, I learned of a previously unknown to me peril of riding over strap-rails. With the cheap, flimsy iron rails, a phenomenon called "Snake Heads" occurred. With this situation, a passing train would cause the rail to separate from the tie and spring up; the next wheel would roll under the "sprung" rail, shooting it through the floor of the car and impaling the passenger against the roof. How quaint. Grisly interlude aside, I would recommend this well researched and informative volume for any Trans-Mississippi theater or Civil War railroad history reference library. The flurry in recent decades of scholarly activity dealing with the Civil War experiences and attitudes of the Appalachian population has been overwhelmingly centered on the southern reaches of the great range. Finally, we have someone directing his efforts north of the Mason-Dixon line, investigating whether parallels exist between mountain South opposition to the Confederate war effort and northern Appalachia's relationship to the Union cause. Robert M. Sandow's Deserter Country: Civil War Opposition in the Pennsylvania Appalachians (Fordham Univ. Press, April 2009) sounds very promising, and I hope to review it when the time comes. Spurgeon: "Man of Douglas, Man of Lincoln: The Political Odyssey of James Henry Lane"
The view of Senator James H. Lane conveyed by the popular and scholarly literature is an often negative one1. A fiery and effective stump speaker, his public rhetoric was unfailingly inflammatory. His political actions were also baffling to many, leading to persistent allegations of unprincipled political opportunism. In the Kansas-Missouri border conflict, his military depredations, while popular in some fronts, were often denounced by both sides. Unfortunately, writers' characterizations of Lane are often presented in black and white, with little serious effort to delve below the surface. Ian Michael Spurgeon's study Man of Douglas, Man of Lincoln maintains that previous efforts at understanding Lane are too heavily dependent on the superficial judgments of the past. He argues for a new view of the man, one that recognizes a string of consistency throughout Lane's political career. It is the main theme of Spurgeon's tightly focused political biography covering the period beginning with Lane's 1854 move from Indiana to Kansas through the senator's 1866 suicide. One of the main charges of political opportunism leveled against Jim Lane was his transformation from Douglas Democrat to Lincoln Republican. Spurgeon argues persuasively that it was the Democratic Party that abandoned Lane, not the other way around. In perhaps his book's best section, the author details Lane's shabby treatment at the hands of Douglas and other party leaders during Lane's presentation in Washington of the Kansas Memorial2 in 1856. Even so, as a member of the Free State party in Kansas, Lane remained a supporter of popular sovereignty and Democratic principles generally. It was the Civil War that eventually transformed Lane into a pro-Lincoln Republican, a path certainly not unique to the Kansan's career. Spurgeon concentrates his biographical study on the political sphere of his subject, and thus does not delve heavily into the 1861-1862 raids into Missouri conducted by the Lane Brigade3. However, Spurgeon does recognize Lane as an early supporter of the enlistment of black troops, and also an early adopter of "hard war". The author also sees strong consistency in Lane's views on slavery, which were based on practical, not humanitarian, grounds. According to Spurgeon, the Kansan supported the raising of black regiments primarily as a war measure, a move to spare whites more than a means to raise the status of blacks in society. The post-war period was especially difficult for Lane. His support of President Andrew Johnston's Civil Rights Bill veto was extremely problematic for the maintenance of Lane's political career, but Spurgeon again sees a pattern of consistency in his actions rather than an about-face. Fire-breathing political rhetoric, and public insistence of his radical credentials aside, Lane was at heart a conservative Republican, more like Lincoln than any of the prominent Radical Republican senators. Ian Michael Spurgeon's fresh and highly original treatment of Lane's political career is an important contribution to the literature. His thoughtful assertions are well supported and largely persuasive. While the "Grim Chieftain" awaits a definitive full biography, Spurgeon has added a new voice that any future author of such a work must seriously consider. 1 - The author feels the best Lane biography to date is Wendell Stephenson's The Political Career of General James H. Lane (B.P Walker, 1930). 2 - A petition from the Free State settlers of Kansas urging the U.S. Congress to accept the Topeka Constitution, which would allow Kansas to enter the Union as a free state. 3 - Presumably, we can expect this from Bryce Benedict's forthcoming history of the Lane Brigade (University of Oklahoma Press, Spring 2009).